The marked erosion of affordability and purchasing power caused by the mortgage stress test and rising interest rates continue to be a drag on the housing demand. However, continuing strong performance in the economy combined with favourable demographics is expected to push home sales up in 2019 according to many market experts. Toronto, November 5, 2018 -- Toronto Real Estate Board President Garry Bhaura announced year-over-year increases in home sales and average sale prices reported through TREB's MLS® System in October 2018. Greater Toronto Area REALTORS® reported 7,492 sales through TREB's MLS® System in October 2018 – a six% increase compared to October 2017. On a preliminary seasonally adjusted basis, sales were down by one% compared to September 2018. The average sale price for October 2018 was up 3.5% on a year-over-year basis to $807,340. After preliminary seasonal adjustment, the average selling price was up one% compared to September 2018. The MLS® Home Price Index (HPI) Composite Benchmark was up by 2.6% compared to October 2017. 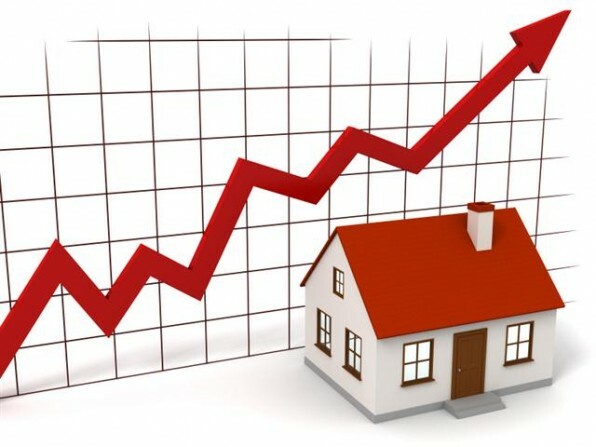 Price growth continued to be driven be the condominium apartment and higher density low-rise market segments. There were 14,431 new Listings entered into TREB's MLS® System in October 2018 – down 2.7% compared to October 2017. The fact that sales were up and new listings were down year-over-year in October suggests that market conditions became tighter. Ottawa, November 5, 2018 -- Members of the Ottawa Real Estate Board sold 1,383 residential properties in October through the Board’s Multiple Listing Service® System, compared with 1,237 in October 2017, an increase of 11.8%. The five-year average for October sales is 1,223. October’s sales included 1,059 in the residential property class, a rise of 8.5% from a year ago, and 324 in the condominium property class, an increase of 24.1% from October 2017. The $300,000 to $449,999 range remains the most active price point in the residential market, accounting for 43% of home sales while the $500,000 to $750,000 price range continues to represent one in five of all residential home sales this past month. Between $175,000 to $274,999 was October’s most robust price point in the condominium market, accounting for almost 53% of the units sold. Vancouver, November 8, 2018 -- The British Columbia Real Estate Association (BCREA) released its 2018 Fourth Quarter Housing Forecast today. Multiple Listing Service® (MLS®) residential sales in the province are forecast to decline 23% to 80,000 units this year, after recording 103,768 residential sales in 2017. MLS® residential sales are forecast to increase 12% to 89,500 units in 2019. The 10-year average for MLS® residential sales in the province is 84,800 units. Calgary, November 01, 2018 -- Elevated inventory levels compared to sales, are causing prices to ease further in Calgary’s housing market. Citywide benchmark prices totaled $426,300 in October, trending down for the fifth consecutive month and resulting in a year-over-year decline of 2.9%. Inventories and sales totaled 7,345 and 1,322 in October. This has resulted in months of supply of 5.6, above levels typical for this month. While some easing in new listing growth will help prevent further inventory gains, inventory levels remain near record highs for the month of October.